Are you an entrepreneur who dreams to grow his business successfully? Do you need trusted experts to examine your private equities and revenues? Then you need a private placement financing such as Eurasian Capital LLC (ECAP for short). Eurasian Capital LCC is a highly trusted private placement financing firm will help you manage your financing needs in businesses (either small-scale or large-scale). As a private placement financing firm, it is our mission and vision to resolve your business conflicts especially in finance and other related business issues. Our team of financial experts and advisors will assist you in resolving your issues between your personal financial growth and business. Eurasian Capital LLC will also help you expand your business not only to raise its market value but also to reach your entrepreneurial ambitions. As a reputable private placement financing firm, we also take care of your wealth and preserve it in order to expand your businesses. How can a Private Placement Financing Firm Help You? 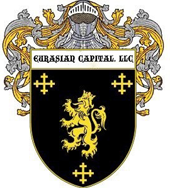 If you need a short or long-term strategic financial plan, you should look for a private placement financing company such as Eurasian Capital LLC. We provide commercial financing, so you can continue to lead your enterprise and be involved with its growth and success. We will also guide you with strategies and techniques on how you can accumulate the funds for your business expansion. All of this is possible if you are guided by the right financing advisors and experts who will guide you from the beginning until you have reached your business goals. How can Private Placement Financing Help Small Businesses? You might think that a private placement financing company such as Eurasian Capital LLC is only for big businesses. We also help small businesses with basic manufacturing, distribution, and other services. We help small-scale and start-up businesses draw flexible financial and business plans; we also invest and procure capital from different sectors and industry. Eurasian Capital LLC brings you a sophisticated financial setup along with valuable insights and strategies in business. Being a part of the financing industry for how many years now, we are proud to offer services that can lead you to a successful business venture. All of these will be reasonably attained if you are in the hands of a private placement financing expert. You can contact one of our Eurasian Capital agents by logging on to our official website or you can also send us an email to address all your queries. We are located at One World Trade Center, Suite 8500 NY. Please do not hesitate to inquire about our private placement financing services and how we can help you with your financial problems!